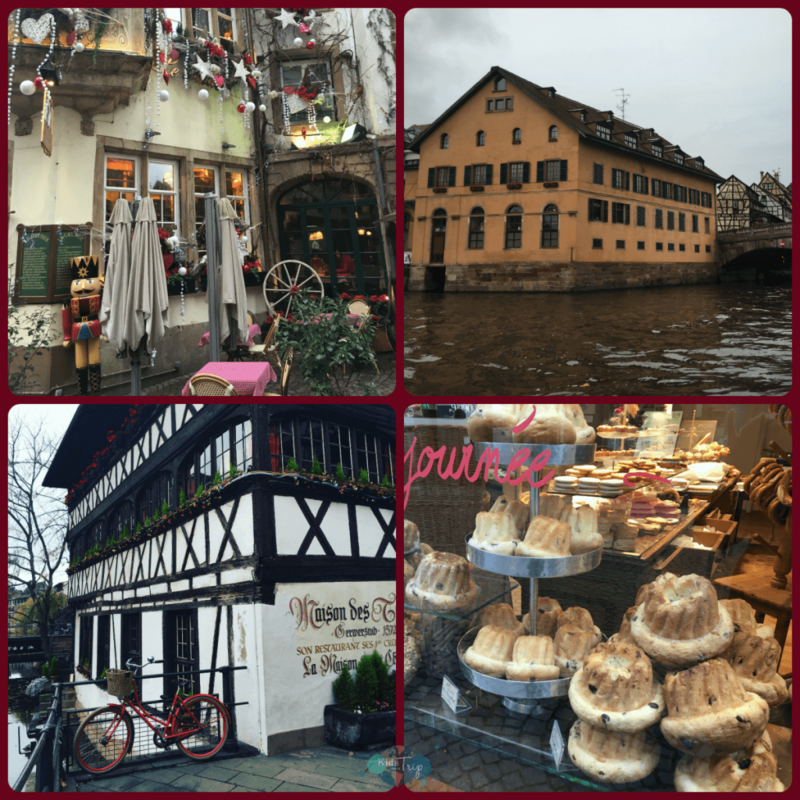 Traveling to Europe as a family takes a lot of planning and our recent trip to Strasbourg and Colmar was no different. From hotels to flights, packing to attractions, a lot goes into organizing a trip that will make everyone happy. It took a couple of weeks of searching to find the right hotels and plan our route. I had the help of the tourism offices for attraction suggestions, but I really didn’t know what to do about transportation. I went back and forth between train versus car travel. It wasn’t an easy decision, but in the end we decided it was best to explore Strasbourg and Colmar by car. One of the questions we have faced many times is whether or not to rent a car or travel by rail. 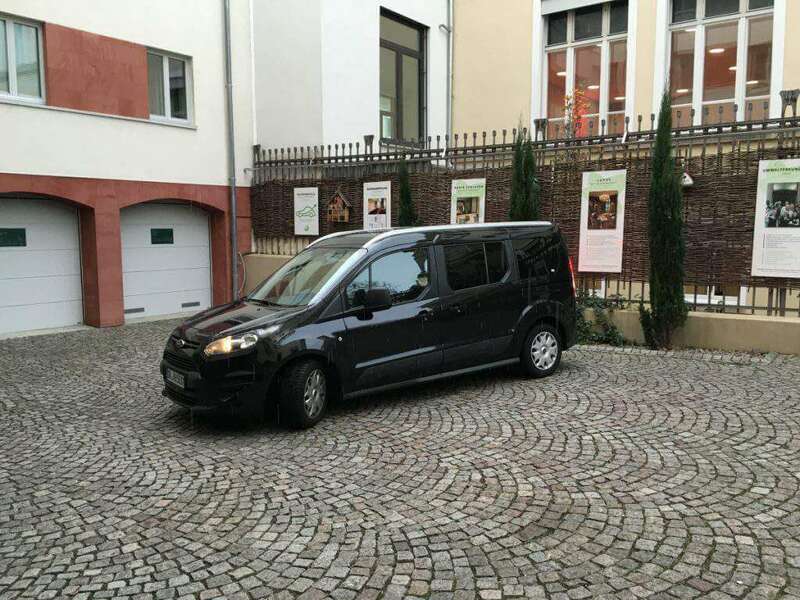 Sometimes we use a combination of both, but to explore the Alsace region of France we thought it would be helpful to have a car as it can be difficult to reach some places by public transportation. The worst part of traveling by train is being dependent on the schedules and routes of the railways, sometimes they are not the most timely nor the most direct. In relying on trains, you lose the flexibly that comes with driving. On this leg of the trip we decided to try Auto Europe, a company that compares rental car companies to get you the best rate. I found Auto Europe’s booking process to be incredibly simple. I filled out my request for a quote with our specific pick up and drop off locations and they returned their best rate. I also requested a GPS, which they mail to you before the trip, because I would NEVER drive in Europe without one. We flew into Frankfurt and took a quick train to Heidelberg where we spent our first two days. Auto Europe had arranged for us to pick up our car through Hertz in Heidelberg and the process was seamless. The agent was extremely helpful and friendly, providing driving tips and a map before sending us on our way. Our Ford Transit Connect was the perfect car for our family. With the ability to seat seven and a large rear cargo area, it was comparable to the space we have in our SUV at home. It was easy to maneuver, had automatic transmission (this is unusual for Europe as most rental cars will have standard), and was narrow enough to fit in parking garages. The drive from Heidelberg to Strasbourg was uneventful. 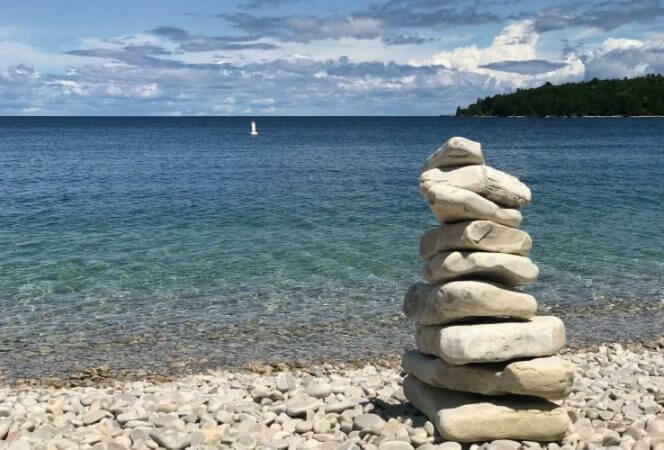 There was not a lot to see with the exception of farmland and border patrol going into France, which our kids thought was the most interesting part of the short journey. Our spacious European road trip vehicle. Parking in Strasbourg is fairly simple if you know where the parking lots are located around the center of town. We used Google to finding Parking Austerlitz, a parking garage on Rue de Bouefs, five minutes walking to the center of the city. It was easy to find and kept us from driving through the congestion of city traffic. There are signs all over European cities with a blue square and a white “P” signaling parking lots. If you ever get desperate for parking, try one of these. 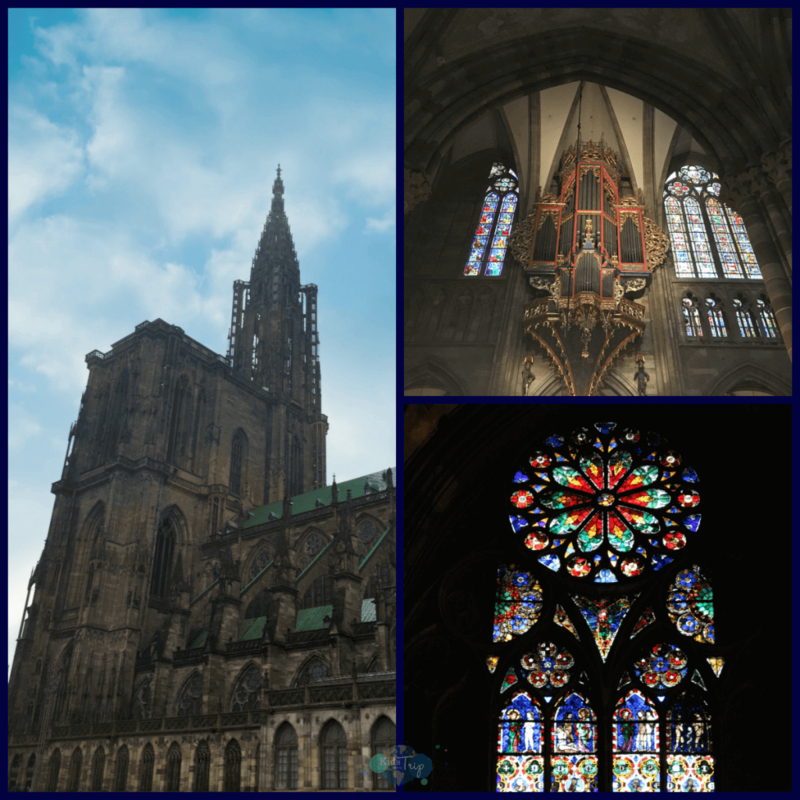 It was pouring rain when we arrived in Strasbourg so we quickly made a game plan of the sights we wanted to see. 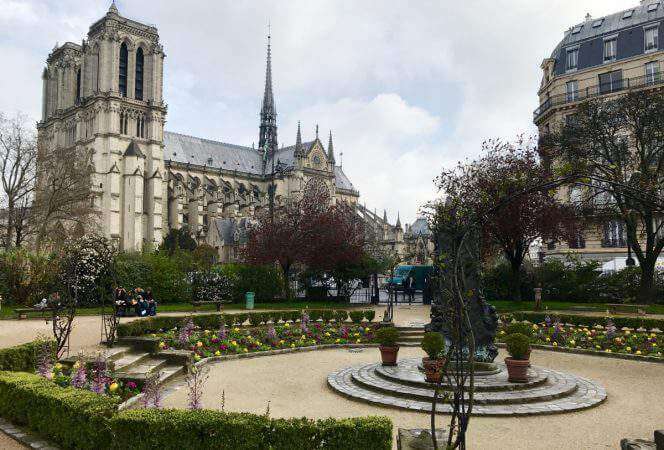 The main attraction everyone wants to visit is the Cathedral of Notre-Dame. The construction of this magnificent masterpiece began in 1015, but the Gothic tower was not completed until 1439. The towering 142 meter spire dominates the Strasbourg skyline and everyone stops to admire its beauty from the square below. Inside is more beautiful than one can imagine. The stained glass work is breathtaking as are the towering archways and sculptures. There’s an astronomical clock inside from 1842 with performances every day at 12:30 where the clock comes to life and automatons start to move as an angel sounds a chime and the twelve apostles move before Jesus. It is quite a sight to see. We were hoping to climb the 332 tower steps of the cathedral to see the surrounding view, but unfortunately it was closed due to weather. Sadly, the rain set the tone for most of our time in Strasbourg. We were unable to enjoy a boat tour, which is supposed to be the ideal way to enjoy the city’s waterways and covered bridges, but we did get to walk along the water. We saw some of the town’s famous houses, like the Kammerzell House, the Tanner’s House, and the Petite France quarter. Some of our favorite moments were having lunch at Il Girasole with its delicious pizza (I know it’s France, but we were craving Italian food) and sampling a few pastries throughout town, including the local specialty, kugelhopf. Christmas decorations, houses in Petite France, and kugelhopf. The next day we set out to explore Colmar from our home base of Freiburg, about 45 minutes by car (versus 2 hours by train). The countryside was beautiful and there were numerous charming towns along the way. Again we found a parking garage right on the edge of town (Rue Rapp), avoiding driving on the town’s narrow streets. As soon as we exited the parking garage, we stumbled upon a Christmas market which was a delightful surprise. Our kids insisted on sampling the local fare (crepes of course) and we were happy to oblige. We spent the rest of the day ambling through Colmar exploring the five different Christmas markets, buying souvenirs, and sampling food and drink along the way in this picturesque town. 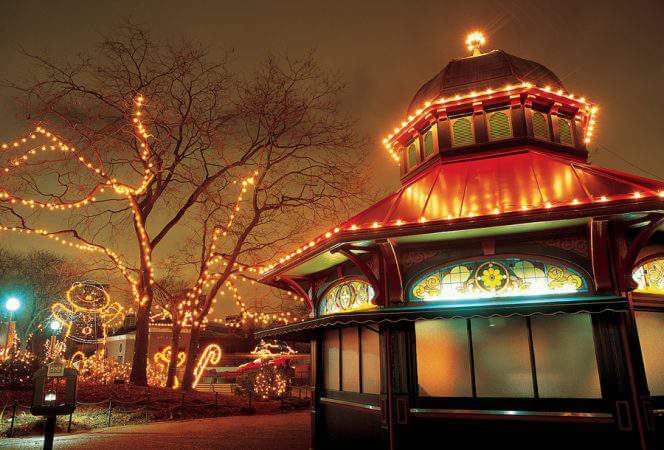 Charming Christmas markets and crepes, what more could you want? The drive back to Freiburg was rather uneventful except for our stop for fuel. Locating a gas station is fairly easy as there are many along the highway. The difficult part is knowing the correct fuel to put in the car. My husband couldn’t remember if the Hertz agent has told him to use diesel or regular. We couldn’t find anywhere on the car what we needed to use. The manual was in German so it was useless to us. Thankfully the attendant could smell what we needed. I kid you not. He didn’t speak English, but by smelling near the hood of the car he knew we needed regular gas and not diesel. There’s a lesson here: always know the type of gas before you leave the rental car lot. Driving through Strasbourg and Colmar and the surrounding Alsace region was easy and enjoyable. Having our own car gave us a place for our luggage while exploring Strasbourg and flexibility of schedule. The larger vehicle surely prevented our children from fighting and the automatic transmission took a lot of stress out of driving for my husband. Navigating in a foreign land is hard enough without having to remember how a standard transmission operates. Auto Europe made the rental process simple from beginning to end. Their knowledgeable, helpful staff made me feel we made the right decision in choosing a car for this leg of our journey. This was our first time using Auto Europe, but after a successful experience, it certainly won’t be our last. Do you have a favorite road trip? Where did you go? Looking for ideas for your European Road Trip? Check out Auto Europe’s road trip planner. Disclosure: I did receive a rental car in exchange for my honest review from Auto Europe.